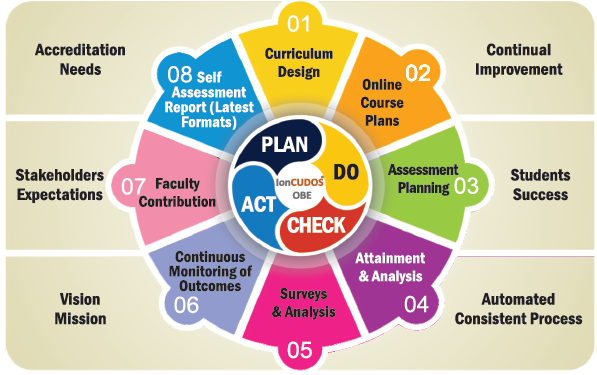 Outcome Based Education (OBE) follows a continuous improvement model and IonCUDOS is also built on this continuous improvement model as shown in figure below. Method 1 is used when student wise question wise marks are available, typically suitable for autonomous colleges, private/deemed universities. Method 2 is used in affiliated colleges where the student wise question wise marks are not available. 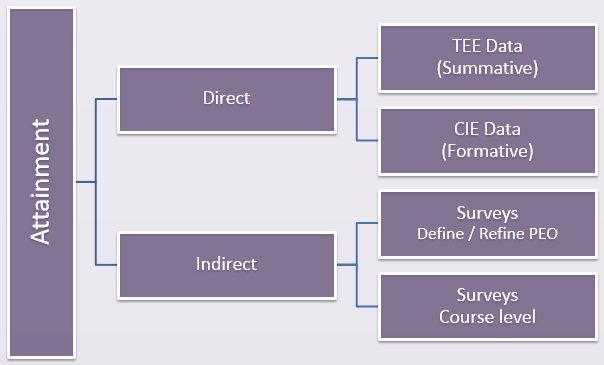 In this case, CGPA or final exam marks will be used with class test marks to compute attainment.